Visited by Henning Høholt, text and photos. 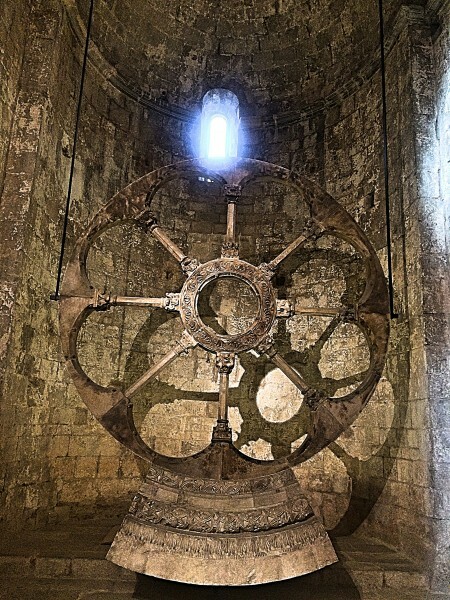 GIRONA/SPAIN: The beautiful city, has during some years been much more known than they actually expected, because the producers of the now famouse video serial Game of Thrones found out that in the old city part of Gerona, they found exactly the exterior, and a lot of the interior they needed for their video film production, who has been a world wide success. 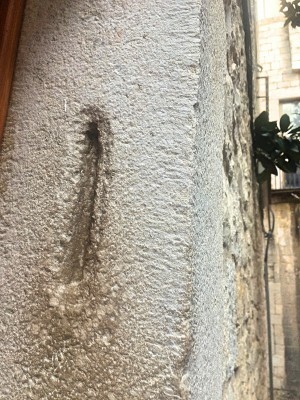 With this as a good reason we were happy to be invited to visit Girona for getting the possibility to walk in the footsteps of The Game of Thrones, – who became a very interesting meeting, with very many unexpected views. The old town stands on the steep hill of the Capuchins to the east of the river Onyar. At this large part of the city going up to the hills overviewing the west side of the river Onyar, is full of spectacular midleages and older WOW moments. The defensive city walls were demolished at the end of the 19th century to allow for the expansion of the city. In recent years, the missing parts of the city walls on the eastern side of the city have been reconstructed. Called the Passeig de la Muralla it now forms a tourist route around the old city. 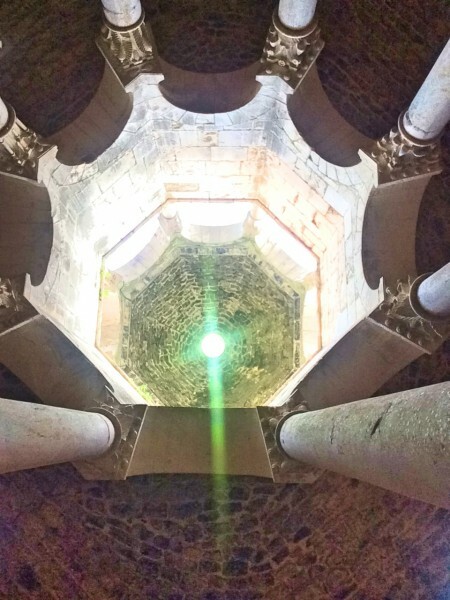 The ancient cathedral, which stood on the site of the present one, was used by the Moors as a mosque, and after their final expulsion was either entirely remodelled or rebuilt. 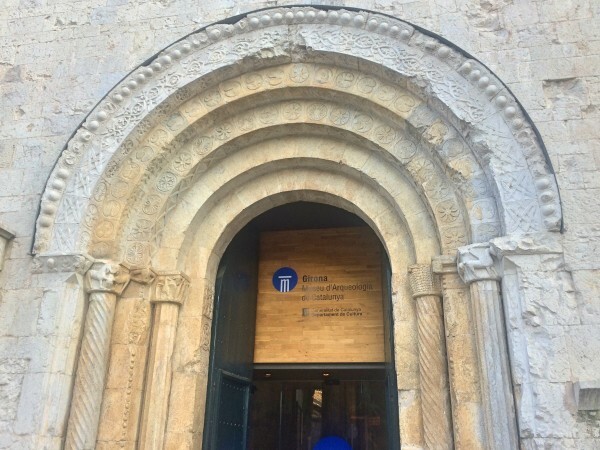 The present edifice is one of the most important monuments of the school of the Majorcan architect Jaume Fabre and an excellent example of Catalan Gothic architecture. It is approached by eighty-six steps. 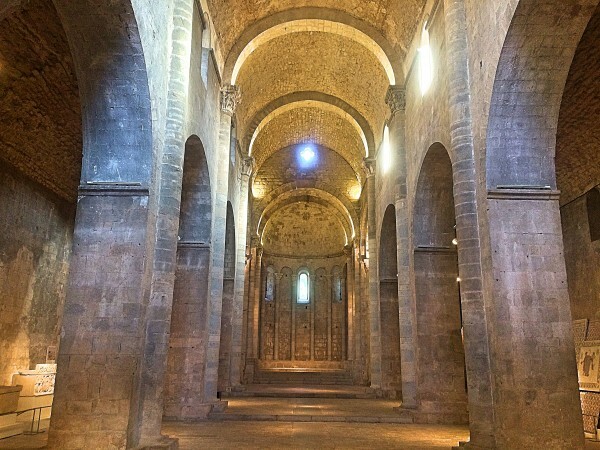 An aisle and chapels surround the choir, which opens by three arches into the nave, of which the pointed stone vault is the widest in Christendom (22 meters). 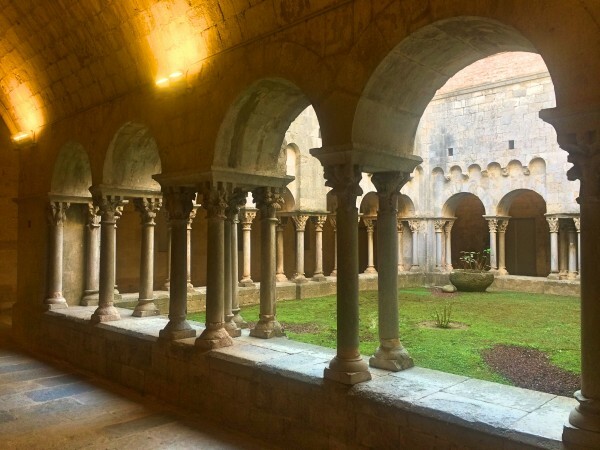 The Monastery of Sant Pere de Galligants is a Benedictine Abbey built in the 12th century and is one of Catalonia’s most important Romanesque sites. Today, it houses Catalonia’s Archaeological Museum. 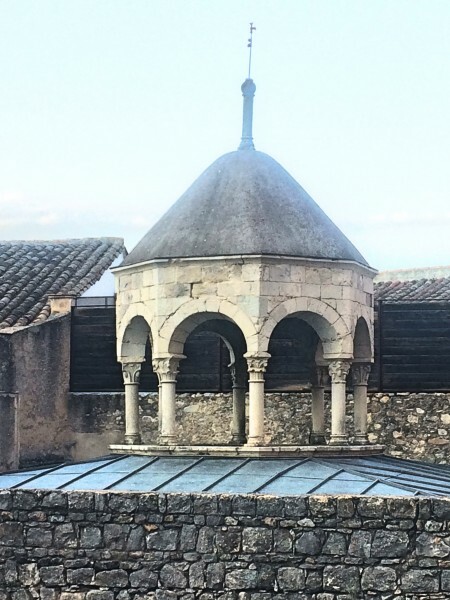 The monastery was used as the setting for the Maesters’ citadel in Oldtown, meaning that Girona was Braavos, King’s Landing and Oldtown all at the same time. You can see the inside of the monastery clearly in the scene when Sam, Gilly and the baby first arrive. 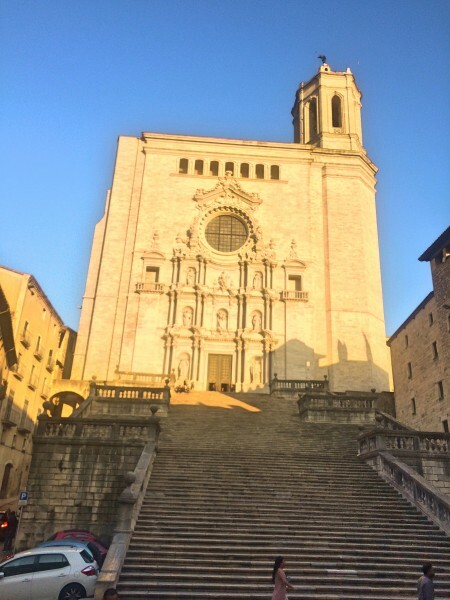 Girona’s Jewish Quarter is located in the ancient Força Vella, an imposing fortress built by the Romans that is full of winding alleyways, cobblestone streets and narrow archways – just perfect as the setting for the fictional city of Braavos. In the series, Braavos is the city where Arya Stark goes to the House of Black and White to learn how to become one of the Faceless Men. When Arya becomes blind, she is forced to beg on the streets. 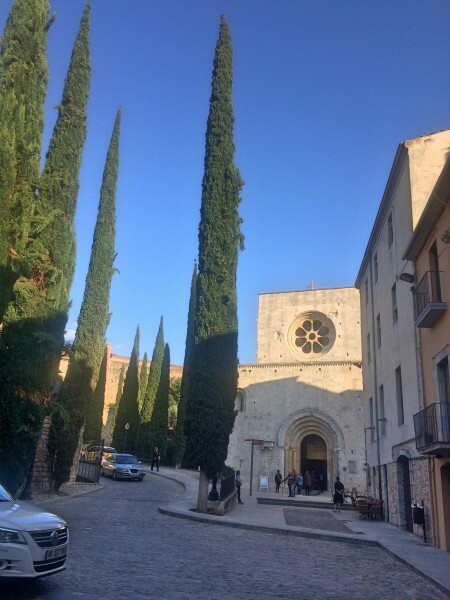 Those scenes were actually filmed on the stone steps of Carrer del Bisbe Josep Cartañà – the small alleyway that loops just behind Girona Cathedral. 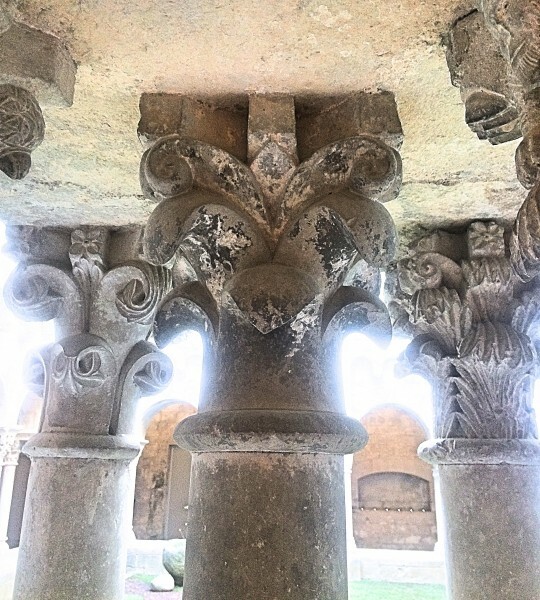 This is also the spot where blind Arya has to learn to fight the Waif. 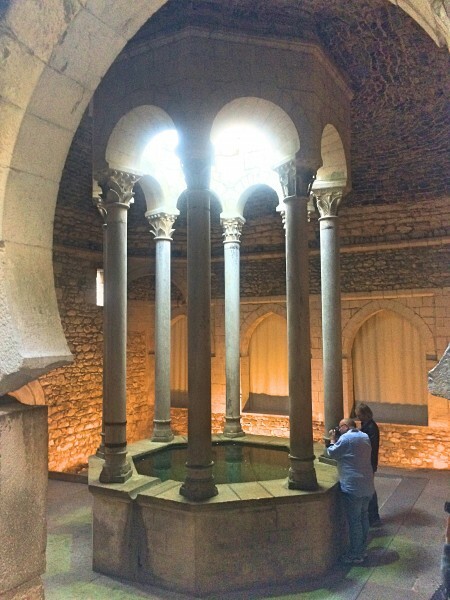 A reportage from an international exposition in Girona, in connection with the competition of making figures in plumb, with many photos, will follow in Kulturkompasset.